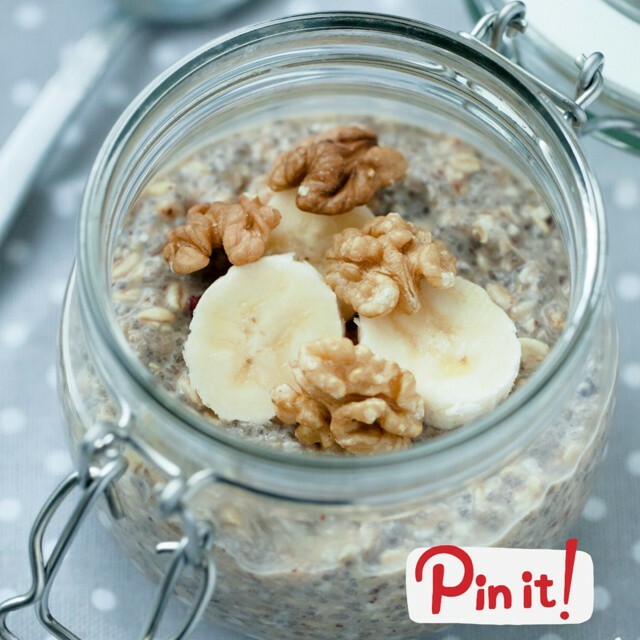 I’ve been making my overnight oats with cashew milk lately – have you tried it? It’s kind of the new thing at all the grocers near us. Place all ingredients (except for the banana) in a glass canning jar and stir very well. Store overnight in the refrigerator, sealed or covered tightly. Yep! It’s meant to be eaten cold, like pudding – although you can heat if desired.